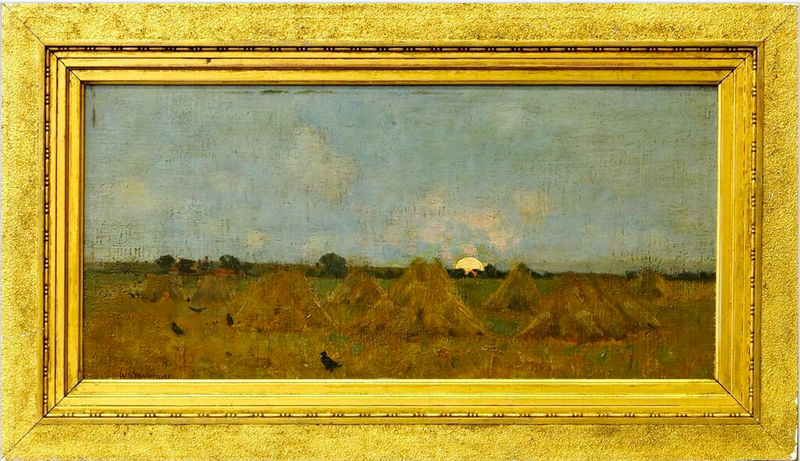 A record was set for the Scottish artist and landscape painter, William York MacGregor at Roseberys, London in their Fine Art auction on 30th June. The oil on canvas work entitled Moonrise broke the world auction record for a work by the artist. The pieces sold for £9 840 and although MacGregor's landscapes have not historically been popular amongst collectors, Moonrise was fiercely sought after by two telephone bidders. Marcus Grey, Head of Paintings, Drawings and Prints said: "We are extremely pleased with the results from this auction across the board, and in particular for setting what we believe to be a new auction house record for the sale of a work by William York MacGregor. It was a strongly contested painting, and we are delighted to see previously lesser recognised artists achieving good prices at Roseberys London." William York MacGregor studied at the Glasgow School of Art, and the Slade School of Fine Art, MacGregor and became famous as a founder and co-leader of The Glasgow Boys, a group of influential artists including John Lavery, Joseph Crawhall, and MacGregor's art school friend James Paterson. This group of artists were interpreting and expanding the canon of Impressionist and Post-Impressionist painting. Their subject matter featured rural, prosaic scenes from in and around Glasgow, and their depictions attempted to capture the many facets of the character of Scotland. Paterson and MacGregor are widely considered to be the fathers of The Glasgow Boys. 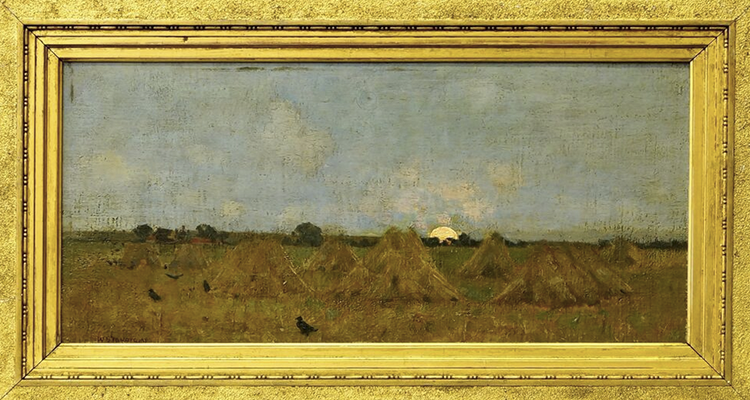 Paterson's Moonrise, Moniaive, in the collection of Lillie Art Gallery, East Dunbartonshire, shows how closely the two artists worked together, as the subject matter and interpretation of the scene are very similar. Paterson's picture was painted in 1886 and this work by MacGregor could have been painted at a similar time, which would make it an important work for the artist at the height of his career. 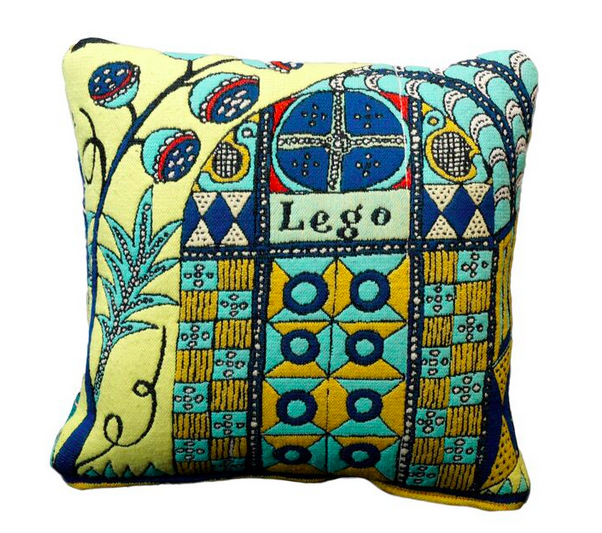 The sale also featured a vibrant cushion by Grayson Perry RA which illustrates a small detail from his much larger 2009 work, The Walthamstow Tapestry, a social commentary and documentation of modern consumerist lifestyles, from birth to death. The cushion sold for £5 412.